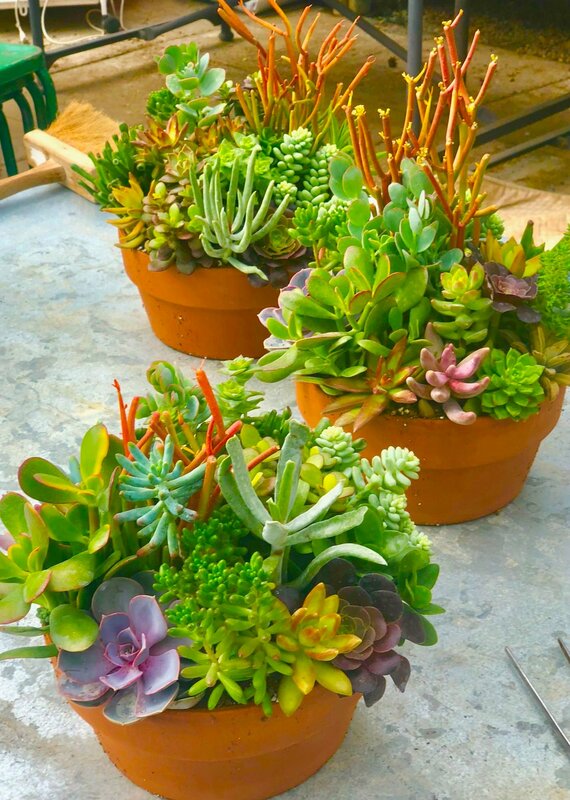 Private Succulent Bowl Class - For the fall and Christmas season this class is only offered as a private class. Please contact us to make arrangements. It is offered as a public class as well but only in the spring and summer. We offer this class at the acreage where you can add the MYOP if you like. For description and pricing check out the "Spring/Summer Classes at the Acreage" category.